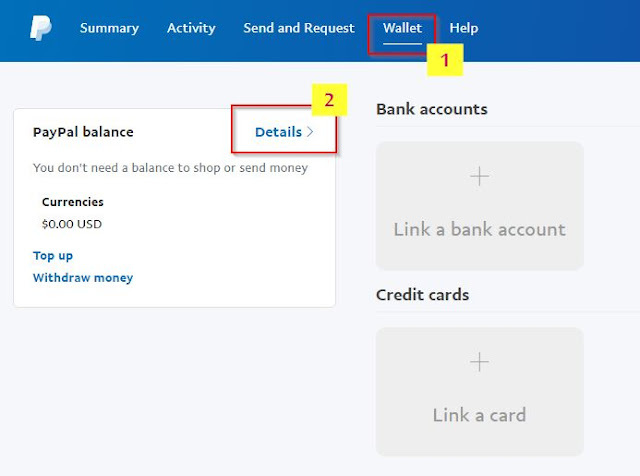 Log in onto your PayPal account. At the top, select Wallet. 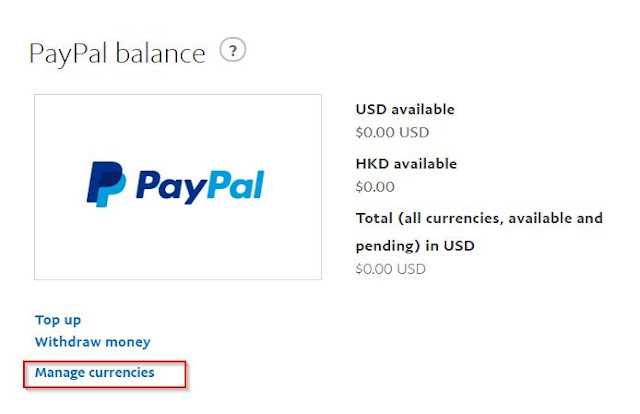 Then select Details and then wait 1 or 2 seconds for next popup to manage your preferred currencies. At the popup page, select Manage currencies. By default, there is a least one currency, You can add more currencies as wish. Click the checkbox to select your primary currency and then Make Primary to set default if there are more than one currency to manage.